At work, there was a very odd and quite honestly very creepy-looking bug crawling across my floor right towards me, but instead of stamping on it like I would have been previously inclined, I flipped a clear container over it and a slide a piece of paper under it. I then brought it to a table for further inspection. 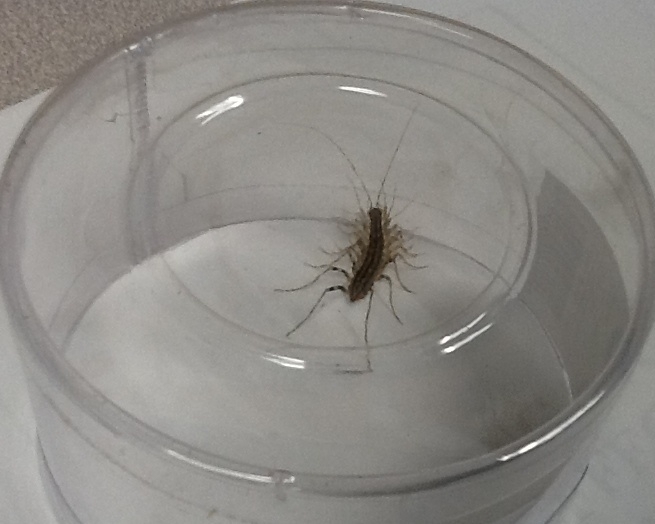 Turns out, this one was a House Centipede (Scutigera coleoptrata), deemed a “good bug”, so I took my homemade trap outside and shook that creepy guy far away from my office door. Of course, everyone knows ladybugs (or “lady beetles” to be more accurate), and without knowing much about them, I think most of us assume they can be categorized as a “good bug”. 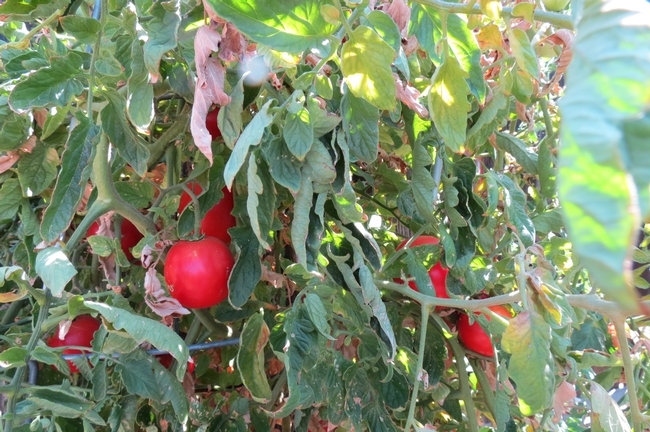 But here are the specifics about lady beetles and why they are “good”: They are predaceous on aphids and occasionally other soft-bodied Homopterans, used for aphid control in roses and can be important in every crop with aphid pests. And how about rolly pollies? Ever since most of us were kids, these cute little fellas were most likely deemed as “good bugs” just because they were fun! But here is a little-known fact about them: They are actually called pillbugs and are not insects at all, but soil-dwelling crustaceans in the Isopod order, more closely related to crayfish than to insects. They feed primarily on decaying plant material and are very important in the process of decomposing organic matter in the garden. So yes indeed, they are absolutely “good bugs”. I wish you all Happy Bug-watching! 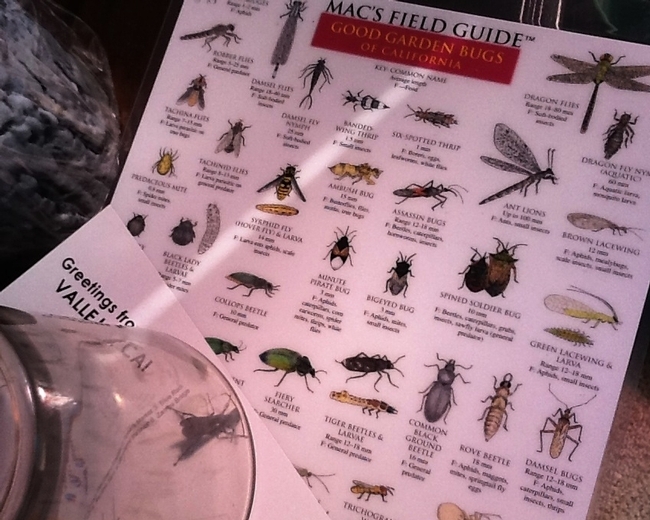 Macs Field Guide and captured flying insect. 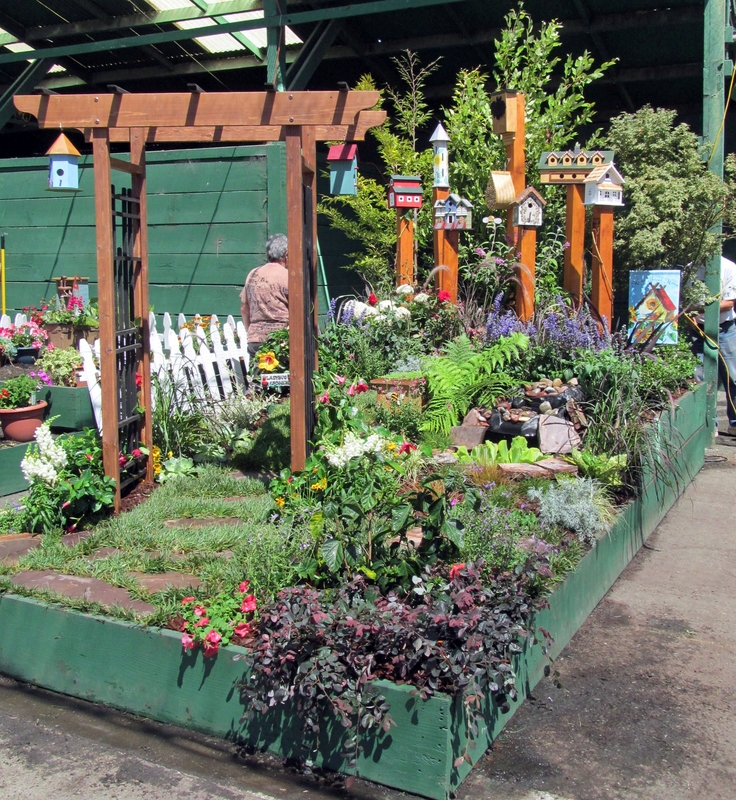 Just this week, the Master Gardeners pulled off an amazing feat. 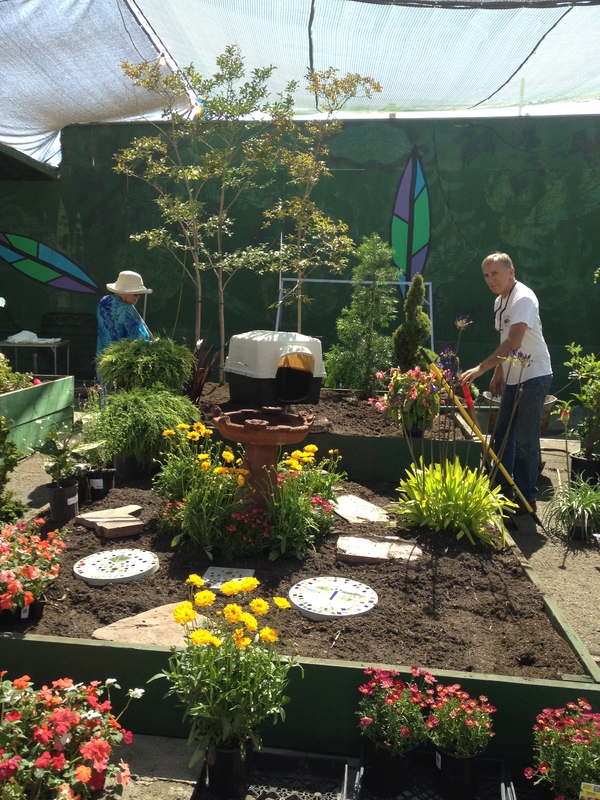 They worked on 3 gardens at the Solano County Fair: an entry way garden, a competition garden, and then a last-minute garden. It was quite the undertaking, but very rewarding in many ways. The gardeners are by no means professional landscapers or designers. They just love plants and putting them together in a landscape. In three days they made the gardens beautiful for the public to enjoy! The competition garden we entered for the Amateur Gardens was called “Home Tweet Home”. The focus was on the houses of birds, insects, and bats that might be enticed to your yard. There were plants that attract certain insects, a water feature and a small lawn area. I want to back up a little and tell you how the Master Gardeners got involved at the fair. About 4 years ago, the Master Gardeners were asked to design an entry way garden for the Twilight Theater, the location of the gardens competition. The following year, they decided to enter the Amateur Gardens competition for kicks. 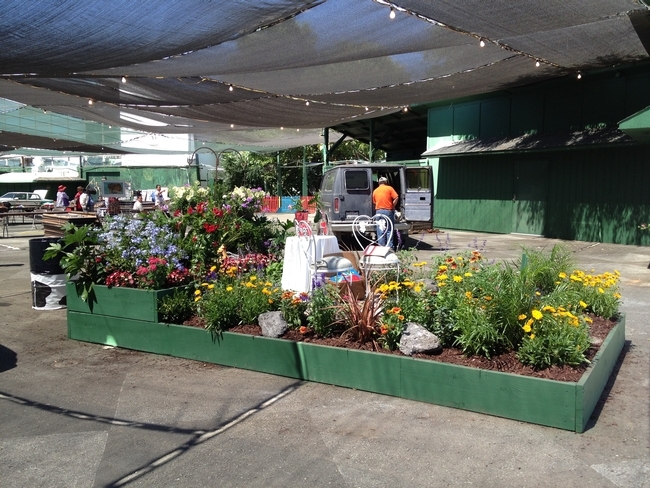 Apparently the judges liked their gardens because they have won for the past three years including the 2012 fair. Every year, the Master Gardeners put forth design ideas, one is selected, and then, with help from the membership, implement of that design. This year, Carolyn Allen created the design themed “Home Tweet Home” (the fair’s theme was “Home Sweet Home”) .The ‘box’ they have to plant in has dimensions of 8’ wide by 16’ long. You might think this is a lot of room to work with, but once you’re there working in the box, it seems much smaller. There is a lot of planning involved and the Master Gardeners seek help from one another and also look outside the organization to get the materials they need. It is a hectic, but fun event that they love doing year after year. Congratulations to the UC Master Gardeners of Solano County on their first prize at the fair! This summer, the Master Gardeners have taken on the theme of Pollinators for their farmers market booths. 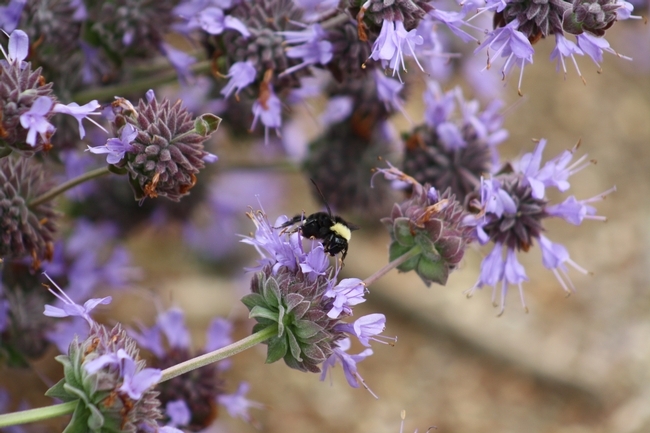 They will talk about a host of other gardening topics, but the focus is going to be pollinators, and what you can do in your yard to host, attract, and maintain pollinators locally. Pollinators are very important to the local crops and pollinating the various fruit, nut and vegetable crops we grow here in Solano County. Without the pollinators, we'd be without the bounty. I'm not just talking about the European honey bee, I'm talking about the host of other insects out there (and birds and bats too!). 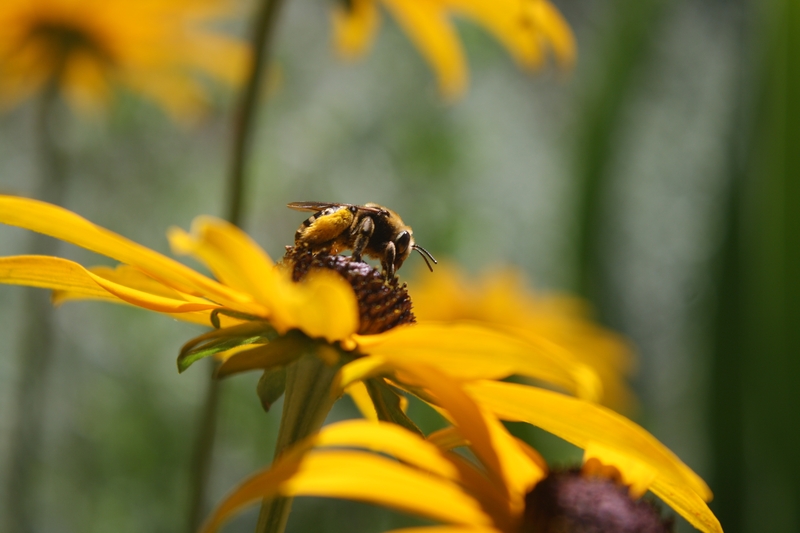 Solitary insects like the leaf-cutter bee, you know this little bee by the half-circular cuts it makes in your plants. Most people are troubled by this, but seeing this phenomenon in your yard should make you excited about having solitary bees in your garden...pollinating away. Other insects like the huge carpenter bee always get my attention as they lumber by. They are huge bees! I sometimes mistake them for hummingbirds out the corner of my eye. 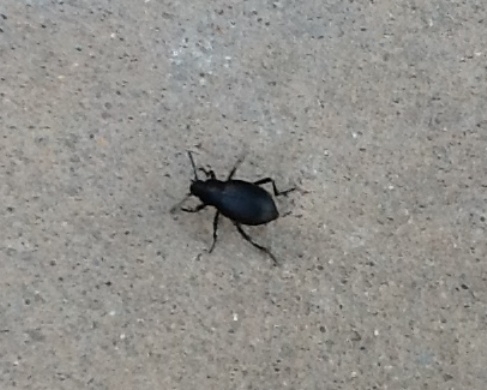 It is important to get out there and have a look at your garden and see what insects are there. You'd be surprised by the variety and number of insects you can find, and most are beneficial insects. You just have to become knowledgeable about what you're looking at. The Xerces Society is a great place to start learning more. They have a ton of free materials to get you started. Here is the link to their website http://www.xerces.org/. I recommend looking at their publications and then fact sheets, many are free. The Master Gardeners are utilizing several in their 'bee binders' they take to the farmers markets. Get out there and learn more about your native bees.